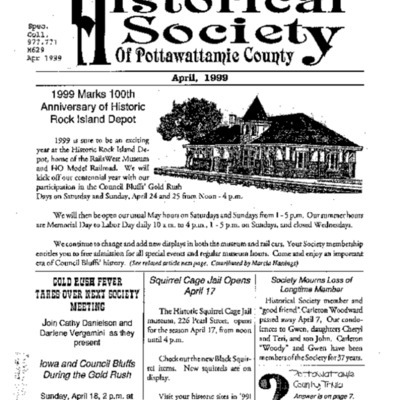 April 1998 Historical Society newsletter. 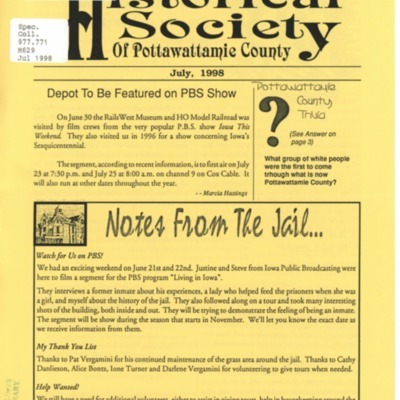 June 1998 Historical Society newsletter. 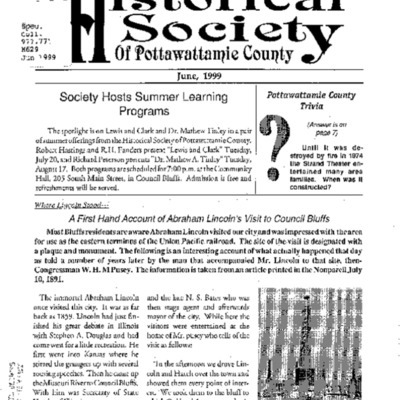 July 1998 Historical Society newsletter. 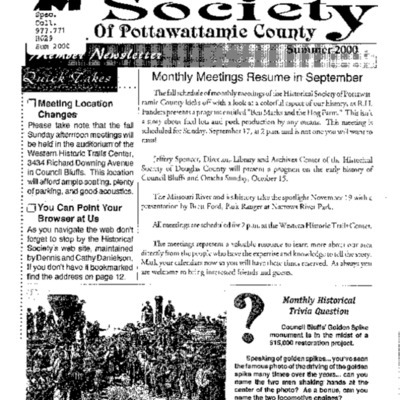 August 1998 Historical Society newsletter. 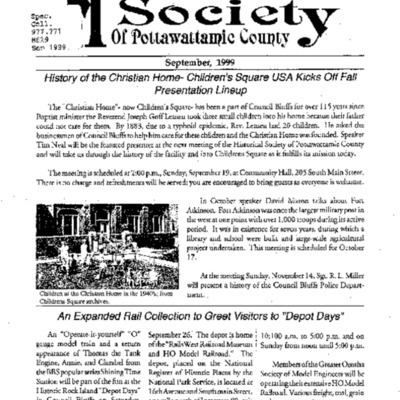 October 1998 Historical Society newsletter. 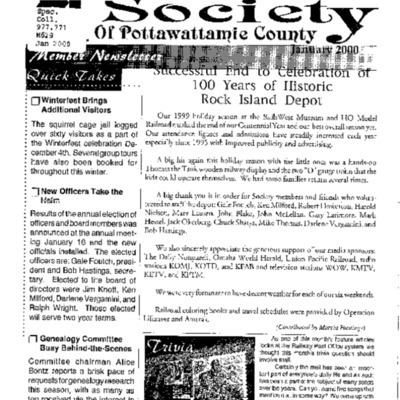 November 1998 Historical Society newsletter. 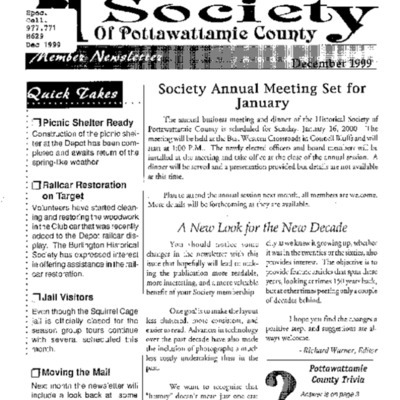 December/January, 1998/1999 Historical Society newsletter. 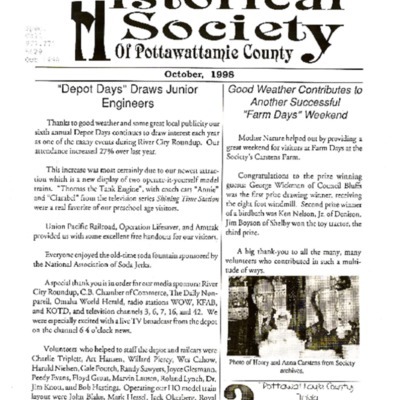 April 1999 Historical Society newsletter. 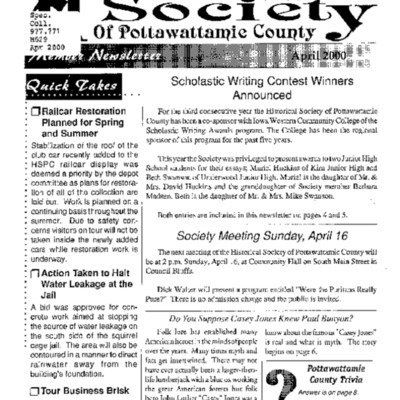 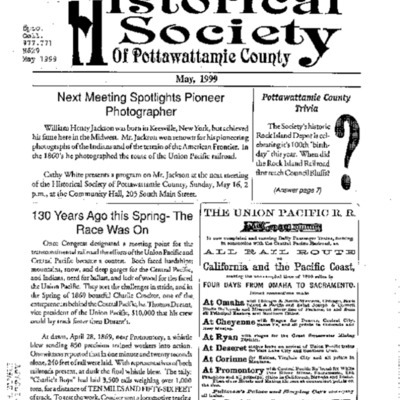 May 1999 Historical Society newsletter. 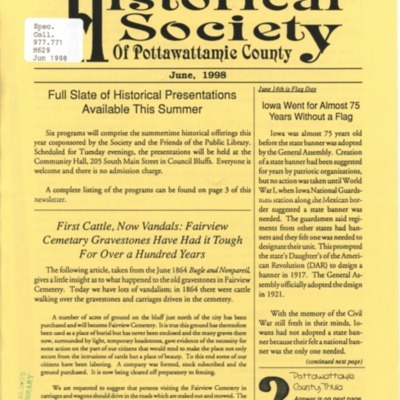 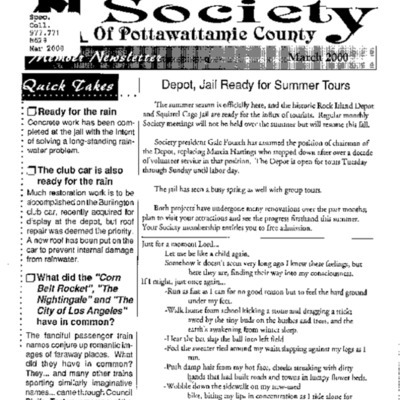 June 1999 Historical Society newsletter. 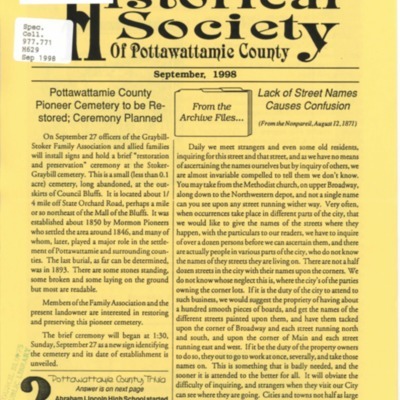 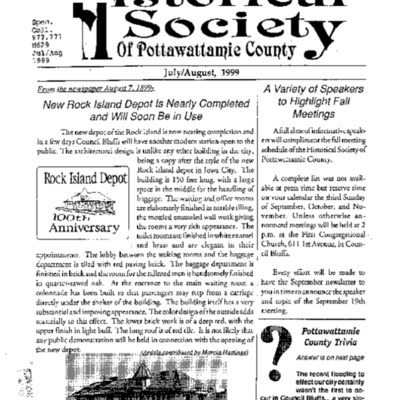 July/August 1999 Historical Society newsletter. 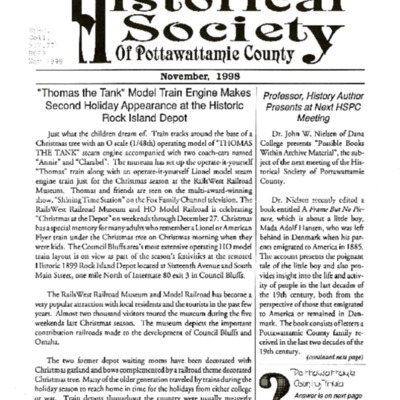 December 1999 Historical Society newsletter. 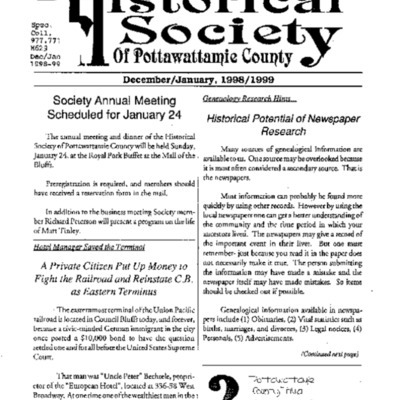 January 2000 Historical Society newsletter. 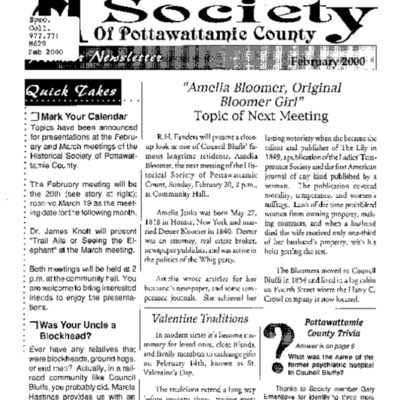 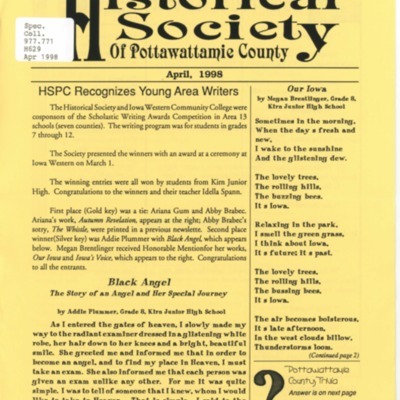 March 2000 Historical Society newsletter. 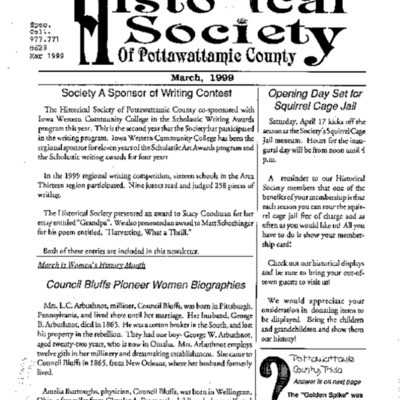 April 2000 Historical Society newsletter. 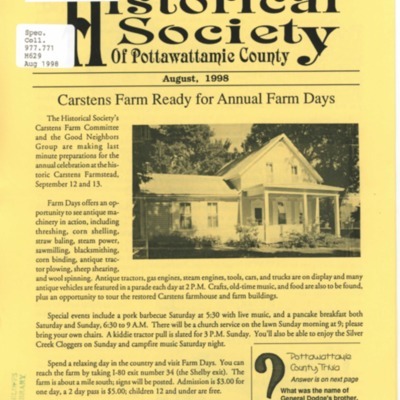 Summer 2000 Historical Society newsletter.